Sukhumvit Soi 38 offers a great initiation into Thai street food. Located few steps from the BTS, it is a real contrast with the smarter restaurants that line Sukhumvit Road. 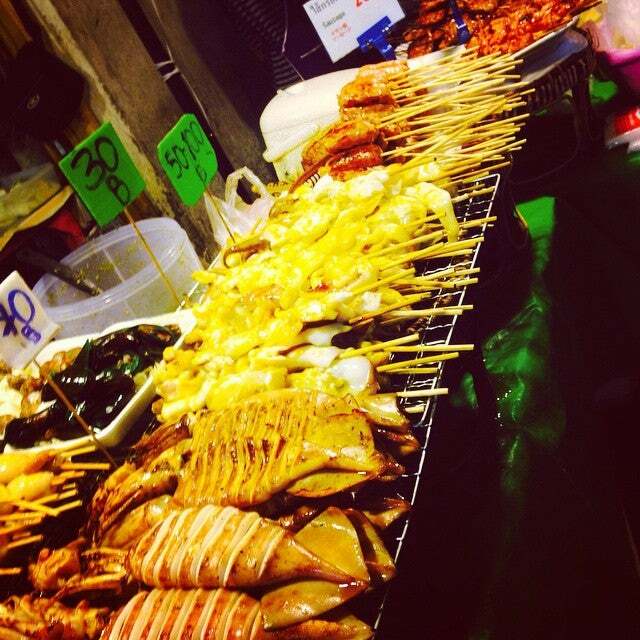 Why Sukhumvit Soi 38 Night Food Market is special ? Sukhumvit Soi 38 offers a great initiation into Thai street food. Located only a few steps from the BTS at Thong Lor, it is a real contrast with the smarter restaurants that line Sukhumvit Road. The food is tasty, cheap and arrives quickly, and most menus are in English making it easy to make your choice. 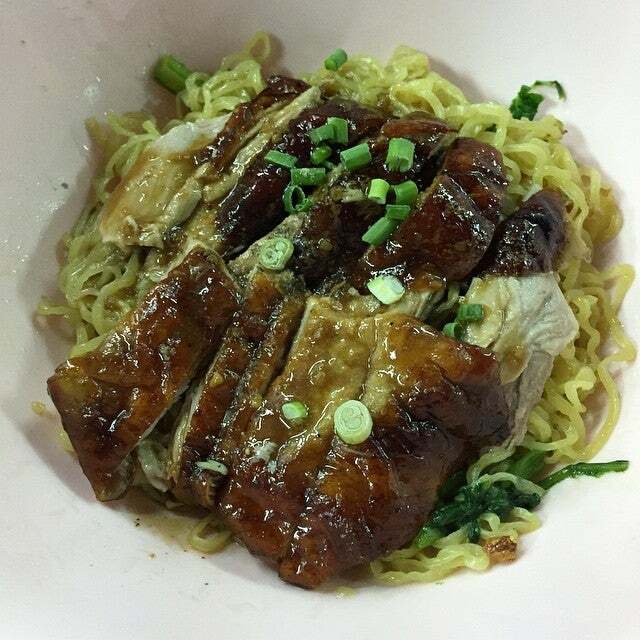 Unlike some street food stalls, those on soi 38 are pretty hygienic and the ingredients are fresh – an extra plus point. 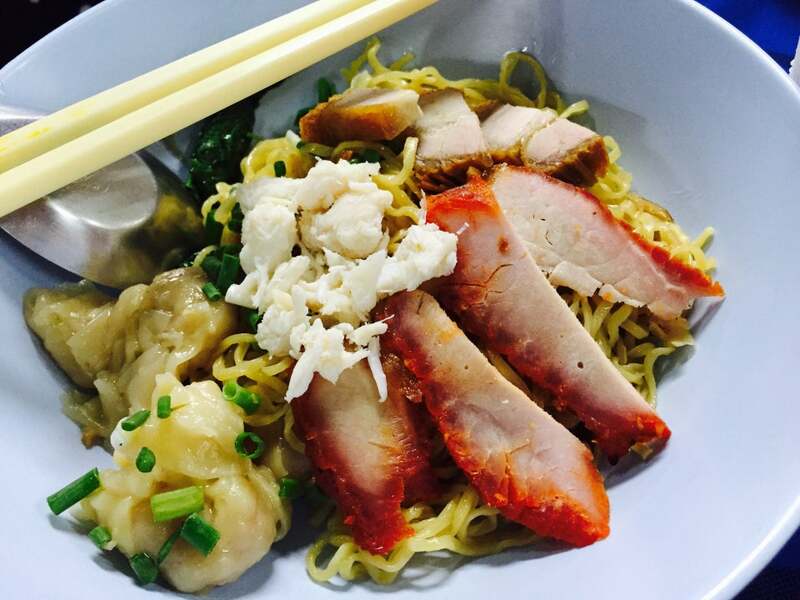 What to explore at Sukhumvit Soi 38 Night Food Market? 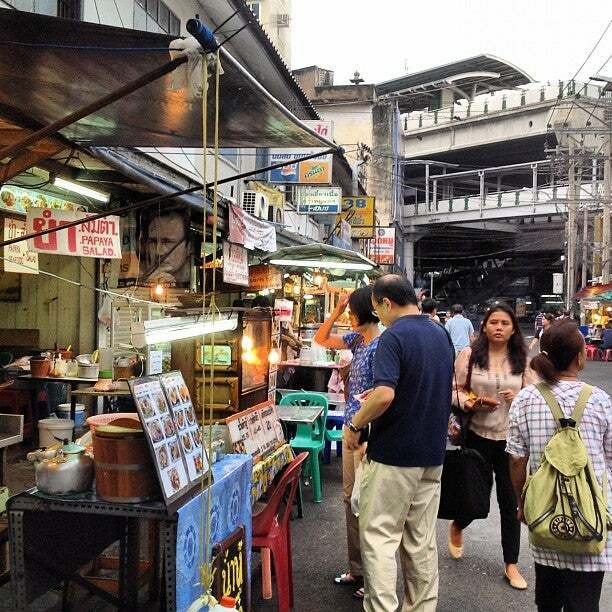 Here you will eat on the street at a wobbly metal table with cars dodging the carts and stalls that line the road and the occasional friendly soi dog jogging by looking hopefully for some scraps. On the right hand side, near the entrance to the street there is an extremely popular and well-known stall ‘Pad Thai Fire Look’. The old man fries his noodles for hours every night, and although it might not seem like much, he has a reputation as one of the best Pad Thai cooks in the city, and even if you aren't a connoisseur, they are very tasty. Just a little further back you will find the smoothie and juice man. For 20-40 baht you can grab a blended iced-drink from this chap, with a wide variety of Thai fruits including papaya, mango and lime. If you are lucky he will also have young fresh coconuts for 30 baht. From around 21:00, along the small alley near the juice stall you will find a noodle cart that sells the most amazing noodle soup, served with crab meat, wontons and barbeque pork (50 baht). 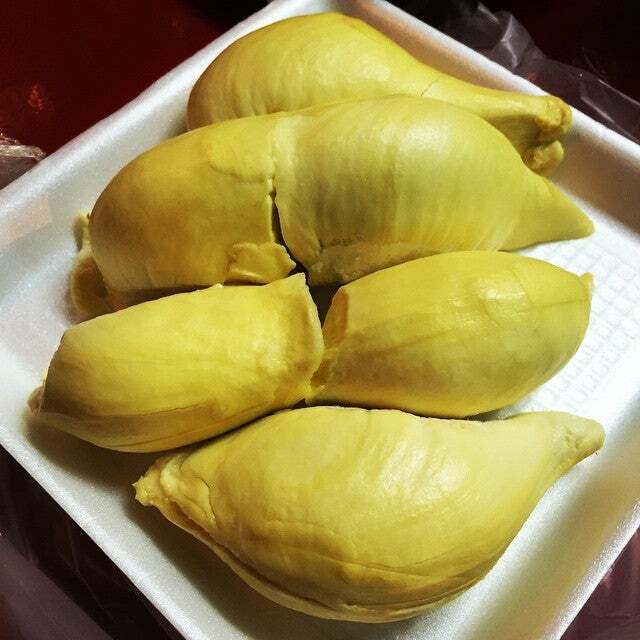 How to get to Sukhumvit Soi 38 Night Food Market? Take the BTS Skytrain to Thong Lo station (ทองหล่อ). Exit #4 (you’ll see the street perpendicular to the station as you are on the skywalk), walk down the steps, then make an immediate u-turn, and you’ll be there – it’s impossible to miss. You should bring your camera to caught the nice sightseeing of normal life's Bangkok. Monday’s are street cleaning day in Bangkok, so you’ll notice less street food stalls open citywide, so if you have a choice, Monday is NOT the best day to go – some vendors may be closed. Most of the vendors will also have menu in English and staff will understand and speak it too. Headed over there for late dinner at 830pm and were bustling with people. Located just a stone throw away from Thong Lo BTS station (approx. 5 minutes walk). Tried the recommended crab wanton noodles which were good but not superb. Lady boss was very friendly and could speak English. I had the soup one while my partner had the dry one. Personally, I preferred the soup one as the soup is quite flavourful. There are also condiments on the table such as chili sauce, soy sauce, etc. which could be added to your noodles depending on your preferences. Tried the pork satay and the chicken rice from other stalls which were disappointment. The pork satay was not well marinated and the satay sauce was watery and weak in taste. The chicken rice was okay, nothing fancy. Also tried the recommended mango sticky rice and durian sticky rice sold by two ladies (not sure if they are sisters). As the sweeter L (large) sized mangoes were sold out, we opted for the XL sized mango which was tad more expensive than the L size mango priced at THB 150. The mango was huge (at least twice the size of my palm), the glutinous rice was cooked to perfection (i.e. not overcooked and with tad chewy texture), the coconut milk and toasted mung beans were completing touches to the mango and rice. The durian sticky rice was also good (for people who love durian like me) priced at THB 50. Bonus was that the ladies at the stall were still cheerful and friendly despite the long queue at the stall. Tried the bbq pork belly from the bbq stall diagonally opposite to the mango sticky rice stall and it was good! Also tried the pancake from the stall next the the mango sticky rice stall which was extremely disappointing. Couldn't remember what my partner ordered but the pancake came out soggy and terrible tasting. All in all, would recommend the crab wanton noodles, the mango and durian sticky rice, the bbq food. Didn't try the salt-crusted fish as we were too full but it looked good. Probably the next visit.